Teen heartthrob dishes to Ellen DeGeneres about being shut out of the nominations and finding solace at the American Music Awards. 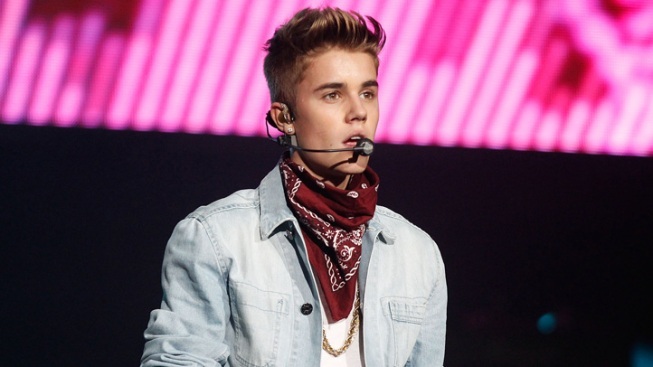 Justin Bieber, pictured here performing in Atlanta, dishes on his Grammy snub, calling it "a big bummer." Justin Bieber's name was nowhere to be found when the nominations for the 2013 Grammy Awards were announced. And Bieber admits in an interview airing tomorrow on "Ellen" that not being nominated at all despite the critical and commercial success of his latest album, Believe, was definitely "a big bummer." "I was looking forward to [possible Grammy noms], but I know it will happen one day," says the platinum-selling heartthrob, who was up for Best New Artist and Best Pop Vocal Album two years ago but lost out to jazz artist Esperanza Spalding and Lady Gaga, respectively. "I'm so young, I'm only 18," he adds. "I'm just blessed to be able to do what I love every day. And the AMAs was a lot of fun for me so...Hopefully, one day." Of course the American Music Awards were fun for Bieber--he won three trophies, including Artist of the Year! And Ellen had to ask how it came about that Bieber was wearing overalls (one strap undone, natch) when he met Canadian Prime Minister Stephen Harper last month, a fashion faux pas that caught him a lot of heat from the peanut gallery. Though Bieber was being honored on that occasion, he insists that the head of the government came to him. "I was at my concert," he recalls. "I was doing, like, a meet and greet, meeting all my fans and stuff, and [Harper] came to the venue where I was performing." "He brings flags with him?" Ellen asks. "Yeah, they brought them," asserts Bieber. Selena Gomez costar Elisabeth Shue calls Bieber "really cool"
"Well, that's not fair," Ellen protests, "because it looks like you went to his office dressed like that! But he brought flags to make it look like you're under-dressed. That's not fair." "I know it wasn't fair but that was really my event," Bieber insists. "I really promise, if I would of went to his environment, I would have been all done up." To ensure he's never caught in a formal situation dressed informally ever again, Ellen then presents Bieber with his own pair of tuxedo-printed overalls. For the boy who otherwise has everything.